Under the Texas Constitution, all parents have a legal obligation to support their children financially. According to family law in Texas, “a parent” refers to the child’s biological mother and a man who either signed a paternity acknowledgment, was married to the mother, or who has been otherwise legally determined to be the child’s biological father. Adoptive parents are also responsible for financially supporting their adopted children. 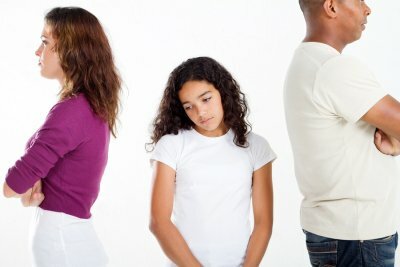 Texas family law requires parents to support a child until he or she turns 18 years old, with some exceptions. Whichever parent does not have primary custody of the child is generally known as the obligor; and it is he or she who is obligated to pay child support. Child support rules are multi-faceted and so a family law attorney in The Woodlands is best able to help you estimate the amount you could be ordered to pay or receive. The income of the obligor is the most significant factor when calculating child support. In Texas, parents are required to submit to the court information about their gross income. If they are self-employed, they must submit their average monthly self-employment income, which is gross income less business expenses. The amount of the child support payment will be adjusted depending on how many children must be supported. If you are paying child support for two children, the amount of the original payment is not doubled. Instead, the payment is increased by a certain percentage of your income. 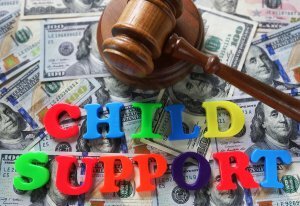 Texas family court judges use family code guidelines when calculating the amount of child support to order. However, there are circumstances in which a judge will consider adjusting the support amount. The amount may be increased or decreased depending on the child’s age and needs, educational expenses, extraordinary healthcare expenses, and any other factors that speak to the best interests of the child. In an uncontested divorce, both spouses may sign a divorce decree agreeing to the terms of the divorce, such as the division of property. Alternatively, one of the spouses may simply not oppose the terms set forth by the other spouse. Nevertheless, if one spouse refuses to sign-off on a divorce decree, then the divorce becomes a “contested divorce.” Regardless of whether you expect your divorce to be uncontested or contested, you should seek divorce advice from a family law attorney in The Woodlands. Divorce lawyers will handle your case for you, letting you move forward with your new life. Will the Refusal Halt the Divorce? It’s a common misconception that when one spouse refuses to sign the papers, the divorce is placed on indefinite hold. In fact, one spouse cannot hold the other “hostage” in the marriage by refusing to sign the paperwork. However, it does mean that it may take longer to finalize the divorce. What Does It Mean to Set a Case for Hearing? When a divorce is contested because one of the spouses refuses to sign the divorce decree, then the court will resolve the contested issues at trial. Your divorce lawyers will contact the clerk or administrator of the court to set a final hearing on the case. Shortly after setting a case for final hearing, the other party must be notified in writing of the hearing date and time. While awaiting the hearing, your divorce lawyers will conduct discovery, which is the process of obtaining information to be presented in court. This includes information about the marital assets, income, and similar issues. At court, each party has the opportunity to present evidence before the judge. Before the case goes to trial, there is still time to attempt to transition a contested divorce to an amicable divorce. Some court require mediation prior to any trial of your case. Even if a court does not require mediation, you might consider enlisting the help of a professional mediator, who is a neutral third party. Mediation can often help two parties with divergent goals and viewpoints find common ground. Mediators cannot force the parties to agree to anything. If mediation fails, then the case will go to trial. If you are in the market for a family lawyer in The Woodlands, then you may be wondering what to look for in a family law attorney. As with any other attorney, the most important thing is to feel comfortable with the person whom you choose. When you hire a family law attorney, it’s important to insure that he or she has significant experience in family law practice. An experienced family lawyer can represent you no matter how complicated your case may turn out. He or she should know the state family law statutes and case law, as well as local courtroom procedures. A prospective attorney will also likely have handled many similar cases in the past and can advise you of possible outcomes. For a family law attorney in Conroe, TX, look no further than the office of Andrew J. Bolton, Esq. With nearly 25 years legal experience, Andrew J. Bolton is dedicated to protecting your assets and doing what is best in your family law matter. Call us at (936) 435-1908 to get started. 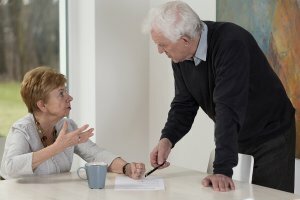 You might consider filing for guardianship with the help of a family law attorney if you have a family member who is no longer capable of behaving in a manner consistent with his or her own interests. For example, a family member may become physically incapacitated through an accident, or as a result of being hospitalized on a long-term basis. An attorney in Spring, TX, may also help you file for guardianship if a loved one has become mentally incapacitated. For example, an adult child may have special mental or emotional needs, or be entitled to receive social security benefits. In such cases, guardianships are critical to getting the child much needed help. Guardianship may also be sought if the individual could be considered incapable of making financial decisions, such as in cases where the proposed ward is a minor. 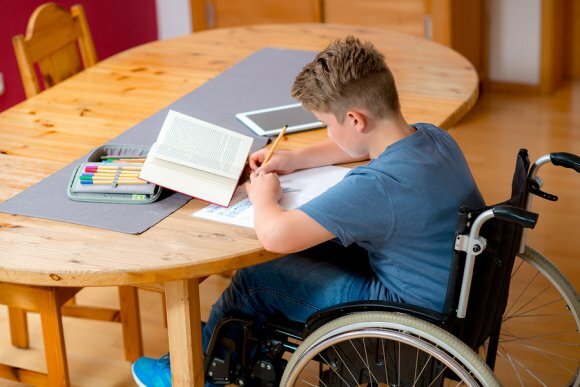 Since guardianship of a disabled child or an adult requires making crucial, potentially life-changing decisions, it’s important to proceed cautiously. You can receive the legal guidance you need when you consult a lawyer about this aspect of family law. Finally, your family lawyer can also help you seek guardianship of an individual whom you believe is not being adequately represented by a person who holds power of attorney. If you’re an adult, and if you haven’t yet prepared your will, it’s time to make an appointment with a lawyer who provides estate planning in Conroe, TX. It is worrisome that most Americans pass away intestate, which means they die without a will. When this happens, their estate is subject to inflexible state regulations and guidelines. Additionally, family conflicts over finances and legal guardianship of children may be more likely to occur when a loved one dies intestate. You can protect your family by having a qualified attorney draft your will for you. Before you meet with a lawyer to have your will drafted, you’ll need to make a list of your assets. This is not so much for inclusion into the will, but to give your attorney an idea of what’s involved in the estate. Such a list should include intangible assets such as your bank accounts, along with physical property such as family heirlooms and jewelry. Any assets you have that name a beneficiary, such as a life insurance policies or joint bank accounts, will go to that particular beneficiary. In other words, you cannot use your will to override your beneficiary designations. However, you can change your beneficiary designations, if desired. 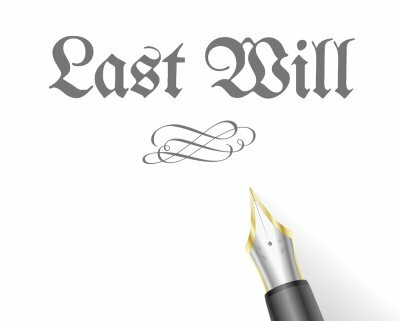 You can use your will to designate heirs for most all other assets. Choosing a legal guardian for a minor child can be one of the most difficult decisions a parent will face, particularly if there are no obvious candidates available. If you have siblings or other family members, then your will could name one of them to be the legal guardian of your child. However, you should carefully consider whether any particular candidate may be more likely than others to adhere to your preferences for your child’s upbringing. In sum, communication prior to tragedy often limits the scope of that tragedy. 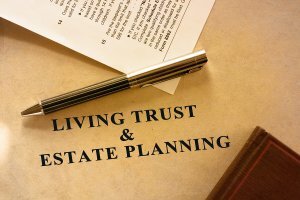 Estate planning isn’t a “one and done” procedure. As your life circumstances change, so too should your will. Where large estates are involved, it might be wise to make an appointment with your lawyer at least every five years to re-evaluate your situation in light of any recent tax law changes. You should also schedule appointments if you experience a significant change in circumstances, such as the birth of a child, a divorce, a marriage, or the death of a family member if that passing affects your finances.